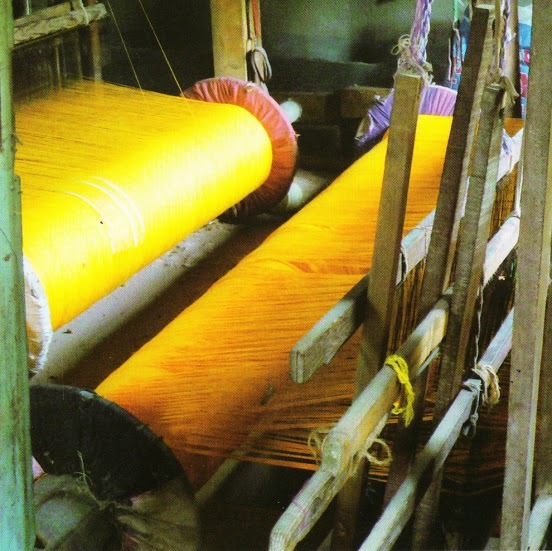 A weaver sits on his loom patiently weaving ‘Khesh’ – a weaving technique that uses new yarn in the warp and strips slashed off old sarees in the weft. 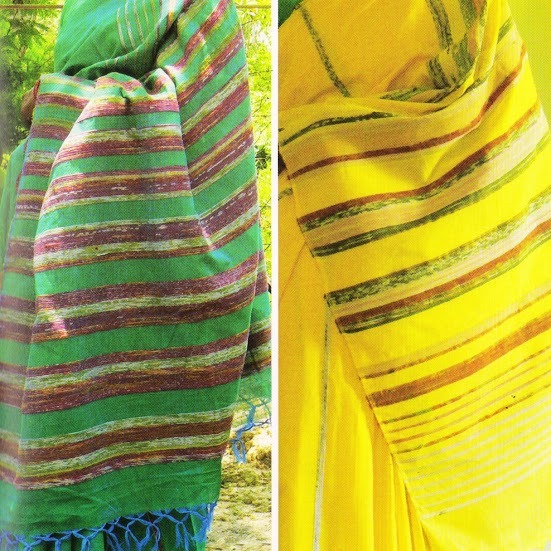 The weaver chooses these strips randomly off a pile sitting next to him; the result is a stunning piece of fabric where the colors of the old sarees blend in with new yarn to produce unexpected, eye-pleasing combinations. The place is Shantiniketan’s vocational training center – Shilpa Sadan and the time is somewhere in the early 1920s. A group of many-aged women sit together hemming discarded cloth scraps and old sarees together with a simple running stitch. They decorate it with beautiful motifs of flowers, animals and birds, and geometric patterns in simple embroidery. The new amalgamated fabric that emerges out of the old, rejected scraps is called ‘Kantha’ and the women have been taught this art by their mothers who got it from theirs and this tradition has been going on since at least the mid 1500s. Gudri – a patchwork quilting technique utilizes the same concept as Kantha and produces eye-catching quilts in a burst of colors. Khesh, Kantha and Gudri are weaving traditions born ages ago, of a need to minimize expenditure on raw materials to make fabrics, reduce waste, satisfy a creative need and build the community, the last of which was a pleasant incidental outcome. Stuff that is considered trend-setting, clever and eco-responsible in the global textile and fashion now and even has a name – Upcycling. Globally too, upcycling is cementing its position as more than just a passing trend in the textile and apparel segment. Designers are working to eliminate their ‘fabric liability’ and celebrating the slow – fashion ideology to create attention-grabbing outfits and finding an increasingly faithful audience for them. In India, upcycling has always been part of design for even the most mundane, everyday objects and is deeply ingrained in our social and cultural fabric. Gradually, it has leapt out of the realm of subsistence to art that meets the needs of the society. With the raw charm of found objects and a tangible list of benefits for the planet, upcycling is here to stay. -Images via Alcha of Santiniketan, Samoolam & Jaypore. Posted in apparel, Art, clothing, Crafts, Embroidery, fashion, Incredible India, India, indian, inspiration, Jaypore, Jewelry, Recycled, Revival, Sarees, style, Textiles, traditional, Weaving, Women, Wondrous India and tagged apparel, bags, beautiful, Colors, contemporary, Crafts, cultural, decor, Embroidery, fabrics, fashion, Gudri, home, India, Jewelry, Kantha, Khesh, Love, recycled, renewal, Revival, Samoolam, Sarees, Shilpa Sadan, social, style, Textiles, Traditional, upcycled, Usha Prajapati, Weaving. Bookmark the permalink.